Home / Health / Health tips / Best Honey For Your Skincare. Best Honey For Your Skincare. Acacia honey is often used to maintain skin firmness and prevent wrinkled skin. According from Raw Raw Beauty, one of the honey that can be used to treat skin health is Acacia honey. This bright yellow honey is believed to be effective in stimulating collagen production. This type of honey is a very popular type in treating skin health and beauty. Manuka honey is often used as a mainstay formula for a number of skin care products. 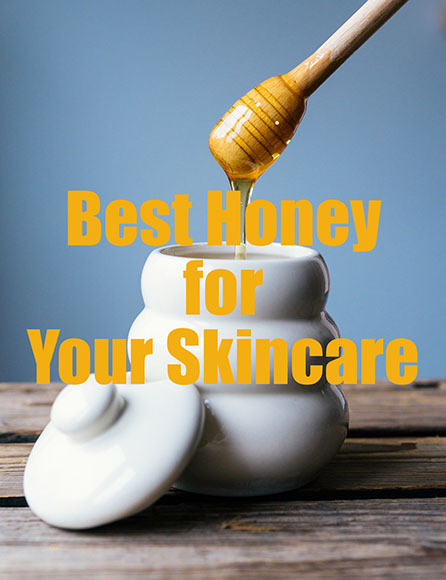 Honey is claimed to be effective in dealing with acne-prone skin. Not only that, Manuka honey is also believed to relieve inflammation caused by acne or allergic reactions in a short time. Furthermore, Manuka honey is also able to fade annoying acne scars. Another type of honey that can be used to treat acne problems is Thyme honey. This is because this honey contains high anti-bacterial substances. Even the ability of anti-bacterial substances contained in honey Thyme is said to exceed the ability of benzoyl peroxide in dealing with acne. Not only is it effective in eradicating acne, Thyme honey also makes the skin more moisturized. In addition to being used as a mask, you can also consume the honey above. You can also easily combine honey on top with a variety of natural ingredients that make the skin healthier and free of wrinkles. Also, read An Unexpected 20 Benefits of honey for your health.